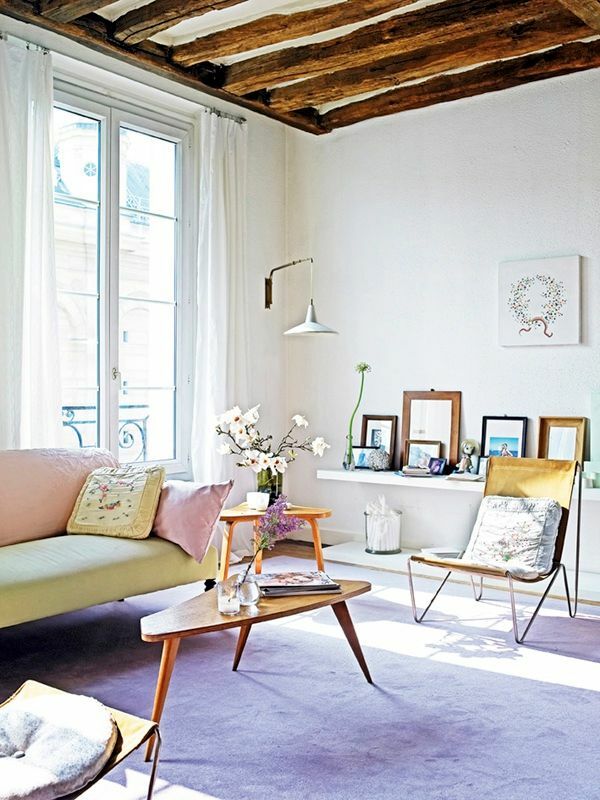 A peek at fashion designer Vanessa Bruno's light and bright Paris apartment. 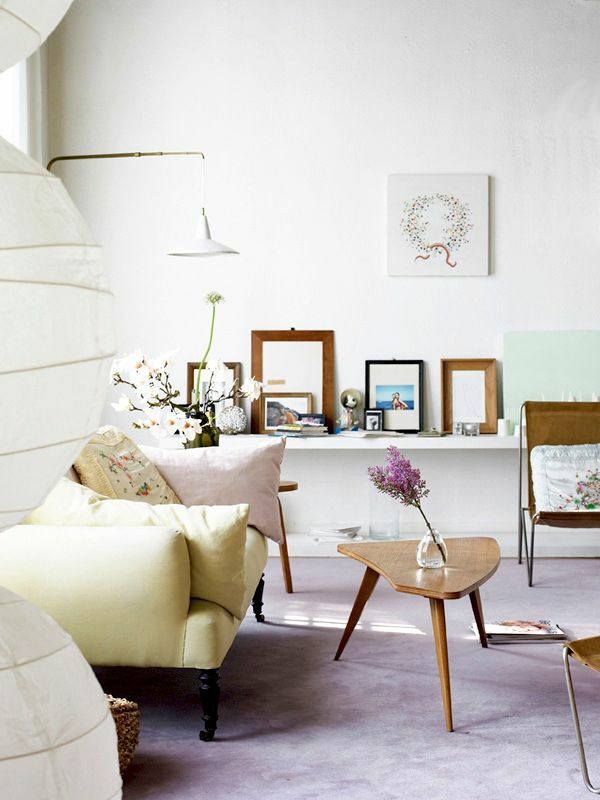 I never thought pastels could look this laid-back and cool, but with the mid-century modern details it definitely works. 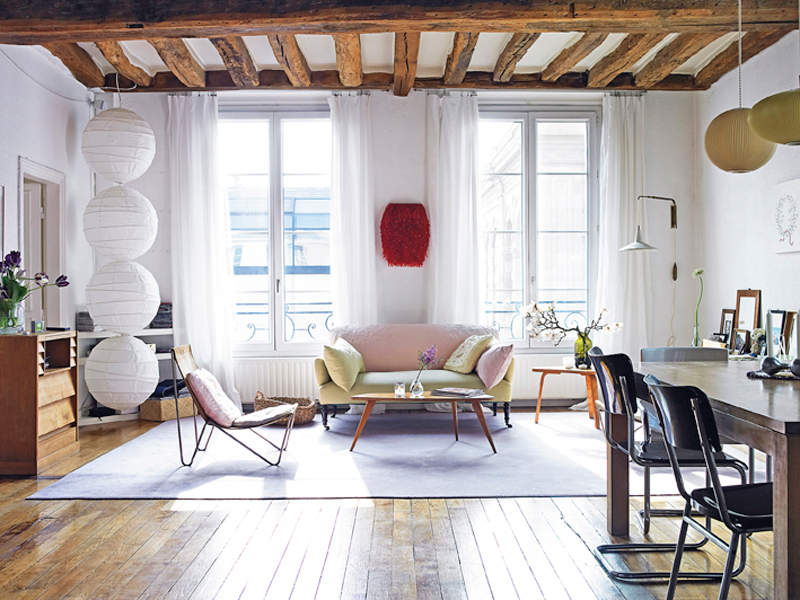 I'm especially loving the big windows and exposed beams!